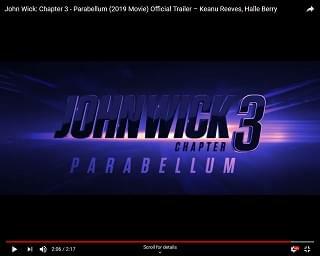 Halle Berry teams up with Keanu Reeves in the upcoming sequel, John Wick: Chapter 3 – Parabellum. The first official trailer has been released, offering a look at the next installment of the action-packed franchise about the hitman John Wick. As he tries to escape the $14 million bounty on his head, he runs into Sofia, played by Berry. The film hits theaters on May 17th.